Welcome to a series of MMN blogs where I’ll be looking at where we, Onyx Path, are with some of our methods of getting our projects out to you all. Seems to make sense here at the start of 2019. Today, the topic is Kickstarters. Onyx Path ran our first Kickstarter for the V20 Companion in early 2012, the same year as we started publishing. Crowdfunding was a wild and wooly place back then, and KS was starting to be the “brand name” for the process. I’d watched a few of our friends run campaigns, both successful and failed, and knew going into it that neither myself, who was running the whole thing, nor Justin, who was the developer of the book and as interested as I was in this new method of financing a project, really knew how it would turn out. 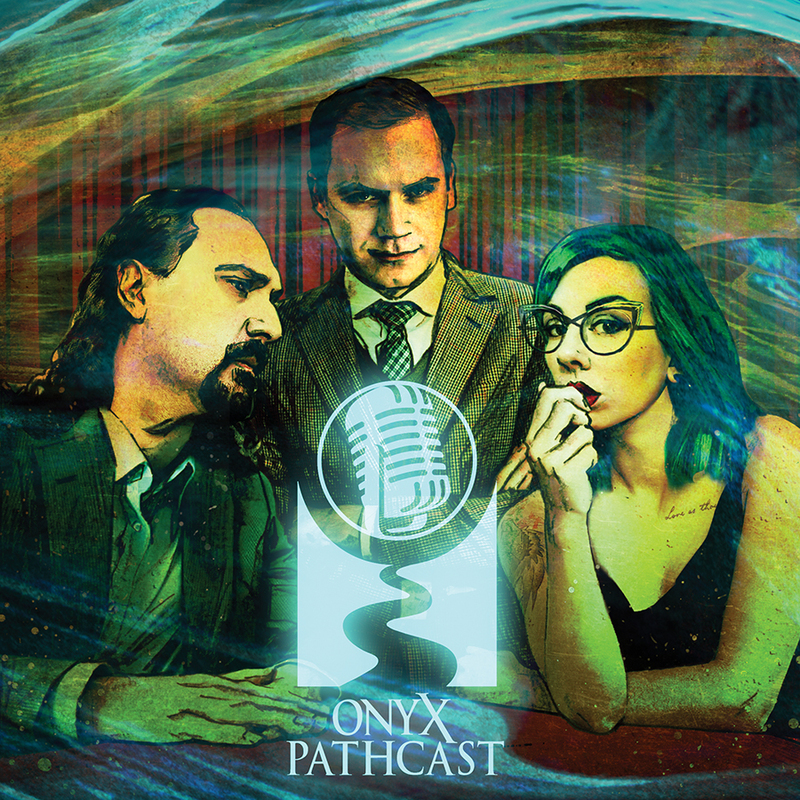 When I had put together Onyx Path as a publishing business, I hadn’t considered crowd-funding, but Justin and I had heard enough from our Vampire community clamoring for the V20 Companion to be a matching Deluxe book to V20 to know that we should figure out how to do it in a Deluxe format. Kickstarter seemed a way to get the needed upfront money for the Deluxe treatment. Otherwise, the V20 Companion would have been available as PDF and PoD versions on DTRPG only. We just didn’t have the cash to pay the printer what they needed upfront to purchase all the Deluxe cover material, create embossing stamps, all that. So, that’s how it started, this wild and tumultuous affair with Kickstarter that we’ve had for seven years and 33 Kickstarter campaigns. I told you all that so I could tell you this. We started with a very simple need – to afford a deluxe cover – and every single KS we did taught us more and more about how to run a KS. If you joined us along the way, there may have been a method we used that turned you off, or another that you thought was awesome. From our point of view, we were learning how to do it well. Stretch Goals, Rewards, Add-ons, voting for sections in the books, when to run it, how much text to have finished and how much to share. The list goes on of the elements we have tried to add with some degree of success or another. Now, this year, our KSs mostly have a few elements in common, like we try and keep the Reward Tiers to a smallish number, we go live only after we have all the text we need finished, and we reveal that text in chunks during the Kickstarter. Unlike when we started, we’re now doing most of our KSs with the stated goal of paying for a traditional print run that covers not just the backers’ copies but also to print an amount that will go into stores via our sales partners at Studio2 and IPR (who are they? look below in the Blurbs! section). We might still do some Deluxes along the way, don’t worry, or some other special projects, but we’re exploring this trad printing option right now. This greatly increases our retail options, which is a good thing as it’s another way for folks to get our games, and adds to the value of the Retailer Reward Tiers that have been a part of our KSs since the first couple of them. Now Retailers can choose to wait and order the projects when they are made available through distribution channels, or they can opt in for pledging to the Retailer Reward Tier and get the copies earlier, with some bonus Screens and the Stretch Goal rewards they can sell or give away, and if they have polled their customers to get confirmed sales – those are books they don’t need to worry about selling off their shelves. There’s no question about it, we prioritized everything else over hitting the Kickstarter estimates. This wasn’t because we didn’t care about them, but because we cared more about the quality of the projects we were creating. And, in fact, still do. BUT, we’ve leveraged our experience and are making sure that our Kickstarter projects have completed text before we go live with the KS now, which eliminates a huge percentage of our timeliness issues while still allowing our creators the time they need to insure high quality writing and rules. That means that we have a bit less flexibility in the sorts of Rewards and Stretch Goals that add to the KS’d project itself, but its a trade-off that is working out pretty well. And we still have Stretch Goals that build additional and Companion books, so those extra sections are still being created. Since we’ve put the “No KS without complete text” rule into effect, we’ve delivered Monarchies of Mau, Cavaliers of Mars, and Changeling: The Lost 2nd Edition earlier than estimated, and things still look great for Fetch Quest and Dragon-Blooded. To name a couple close to shipping. Now no doubt, we’re still popping out projects that had troubled histories from before that methodology went into effect, so it did take us a while to get to this stage, but we’re here now and it’s working great. This is an ugly topic, I’m afraid. Don’t let the kids see it. The biggest negative aspect of a Kickstarter campaign, in terms of costs and time spent, is shipping the rewards out. Shipping costs are insane if you are shipping from the US to anywhere outside the US. We look for working partnerships with shippers around the world to offset some of those prices, and sometimes it works. We have seen shipping costs on some projects as high as $50 an average to Canada, $64 on average to the EU, and $70 as a rest of the world average. Then there are customs fees on top of that. So, like I say, we keep looking for alternatives. Plus, now we hear that USPS, who is often used as the middle-man by the big-name shippers, is raising their rates, so we’ll need to deal with that. We also have been through another round of getting quotes from fulfillment shippers, and trying to find ones that can be relied on and stay reliable (and that we can afford) has been, and may always be, an ongoing process. Sorry, I know that just reading about these issues is a drag, but they are a very real challenge that we work on with each KS. We’ve tried the “tack the shipping price on after the KS” method, and that was received…poorly by the backers. We also can’t sidestep the whole thing and “eat the costs” or even a decent bite of them. We just aren’t Amazon, for good or ill, and our volume of ship-out packages is not even close to being in the zone where a company can do that. 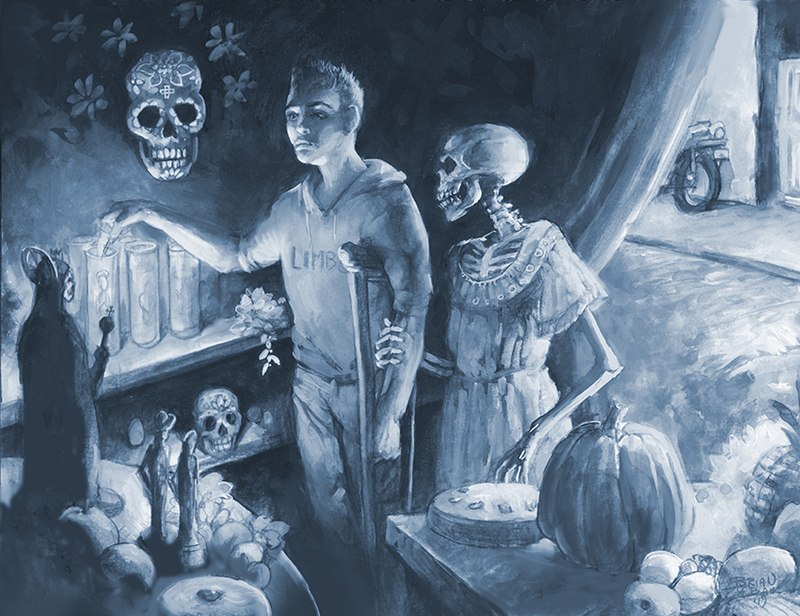 So, we keep on baking in the shipping costs as best as we can accurately estimate them with our fulfillment partners, and at least our backers can look at that and what they see is what they get. This is kind of a catch-all topic. First, there’s the question of which projects we are KSing. What’s the criteria? Well, new game line core books, to start. We want those in stores, and we want folks to find out about them, and Kickstarter does both of those things for us. There are also the Deluxe Exalted “fatsplat” books, which we look at as a part of a series, the core CofD 2nd Edition books, and select WoD supplements. 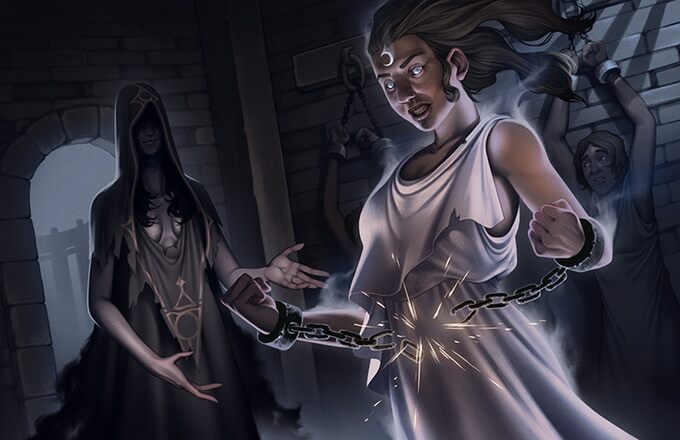 Doing the V5 Chicago By Night Kickstarter, for example, gave us that visibility I mentioned above, as well as a chance to let backers, and by extension the larger WoD community, a chance to see where we would be going with the text. Basically, do we think the project would benefit more from being KS’d than not, and not all would. Next in this topic, we have the way our KSs are now run thanks to our “Kickstarter Concierge” James Bell, who sets up all our KSs now, makes sure that they are run as we’ve agreed – and fun for our backers is a HUGE part of that – and then creates and runs the BackerKit back-end site after the KS is over. Having a dedicated Kickstarter runner has made a huge difference in customer service, and as my list of Kickstarters that I ran keeps shrinking, I am so glad that I could pass on the responsibilities of handling our KSs to James. I mentioned that James is also running our post-Kickstarter BackerKit sites, and BK has also been a huge help in the handling of our KSs. We now use them for every KS; they are just set up to make it so much easier to track all the rewards folks can pledge for and Add-on, and for us to get out to backers. More accurate for the backers, and faster for us: win/win. Finally, we’re trying a new thing this coming year, as even with James, we’re hard-pressed to run all the Kickstarter campaigns we’d like to – that we think would be good for the projects we’re making. Our friends and Handiwork Games will be creating the Scarred Lands 5e Creature Collection and then running its Kickstarter on a new Onyx Path Publishing Kickstarter account. If this works out, we’ll have more flexibility on which KSs happen when, and we’ll look at how things go and maybe we’ll have more of our projects KS’d by other folks. We finished up the They Came From Beneath the Sea! (TCFBtS!) KS last Thursday and those last 48 hours were amazing. I swear we added 200 backers, and finished up at 908 backers and over 200% funded. We were able to help fund several additional projects that will really help folks enjoy the game after they get through the main book. A smashing end to an experimental and excellent campaign. Huge Thanks to everyone who contributed, and if you weren’t able to during the campaign, you can still get in on it via BackerKit when that site goes up, and then when we release the book into stores and DTRPG! NEXT UP! We’ll be starting the Kickstarter for the Deluxe version of EX3‘s Lunars on February 12th – so don your beast forms and let loose a howl (or snarl or squawk or hiss) to let everyone know it’s coming! Last Friday our resident media man Matthew Dawkins got on YouTube and read the prologue for our popular Scarred Lands novel, Vigilant: Through Shadows and Dreams. Why did he embark upon this task? A couple of reasons! 1.) We want more people finding our fiction. 2.) We want to gauge your interest in our creating and releasing audio books of our fiction work! Please give the video a watch (https://youtu.be/SU1fgtGxSjw) or just download the mp3 if you want it to listen to as you drive or work out (https://www.drivethrufiction.com/product/265096/Vigilant-Through-Shadow-and-Dreams-Prologue). Both are free and we genuinely value your feedback on our embarking into audio books and readalongs! So please let us know in the comments here if audio books of our work would be something you like us to offer! The Story Told RPG Podcast is back too, this time with an interview with Matthew Dawkins regarding Wraith: The Oblivion 20th Anniversary Edition! This one is a real deep dive and it’s timely, given the recent dispatch of the deluxe copies. Here’s the interview http://thestorytold.libsyn.com/episode-19-wraith-the-oblivion-20th-anniversary-interview-with-matthew-dawkins and please check Wraith out on DriveThruRPG if you’ve not already done so! Check them out and get some amazing deals on the first edition PDFs (same as we have on DTRPG) and watch how the Bundles grow during the duration of the sale! 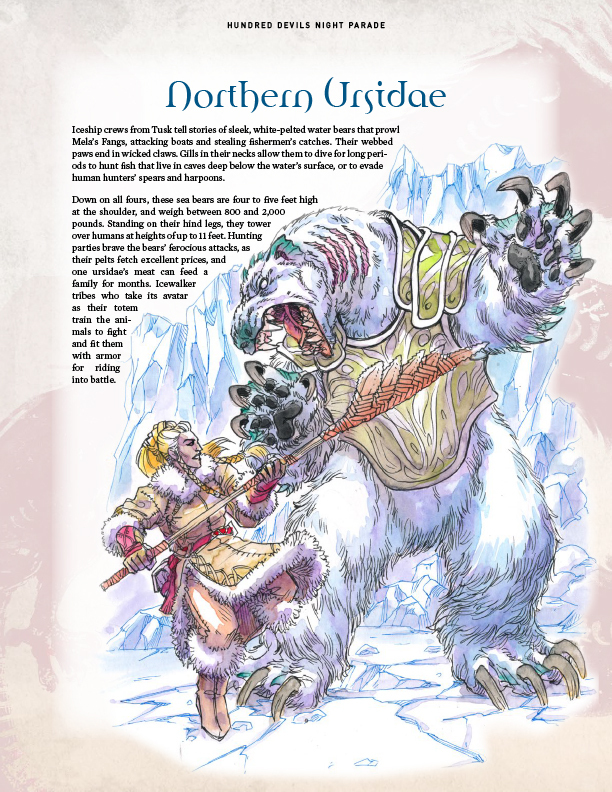 This Wednesday, we’re offering our monthly EX3 PDFs of Northern Ursidae and the Forest Strider for Hundred Devils Night Parade, and Ninegala, Forge Goddess of Makelo for Adversaries of the Righteous on DTRPG! We are also adding Monarchies of Mau templates this week to the Canis Minor community content site for Realms of Pugmire! Now, you can add all your cat-astrophically good ideas for Mau books to the site! New convention notices coming soon! Dystopia Rising: Evolution – Art tweakage. The Realm – More sketches coming in. Chicago By Night – Contacting artists to see who is open. EX3 Lunars – KS prep. Signs of Sorcery – Over to layout this week. In Media Res – Sketches coming in. Shunned By the Moon – Almost done contracting artists. Book of Oblivion – Contracted and should see sketches soon. Contagion Chronicle – Fulls/splats contracted for KS. M20: Gods and Monsters – Waiting for WW approval. Pugmire Roll of Good Dogs and Cats – Getting backer PDF ready to send to backers. 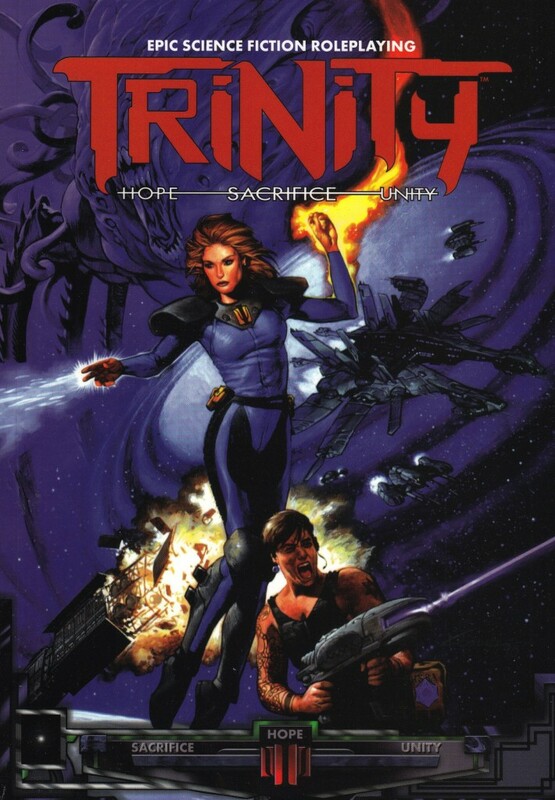 Trinity Core – Inputting Errata. Trinity Aeon – Inputting Errata. Wraith 20th – Prepping for backer ship-out. Wraith 20 Screen – Prepping for backer ship-out. Fetch Quest – Shipping to US. Ex Novel 2 (Aaron Rosenberg) – Backer PDF going out this week. CtL2e Condition Cards – Waiting for PoD proofs. 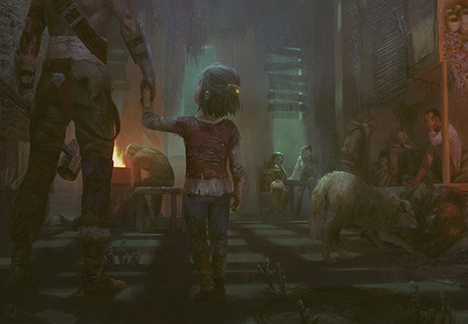 Canis Minor – Opening up Monarchies of Mau for community content. Last Friday was my birthday, and I’m just always surprised I’ve made it this far! I love that sample Geist art. I’m glad to see the Scion Companion moving along. Can you explain what the “Slarecian Vault Materials” are in Layout? Also, how will having Handiwork Games handling Scarred Lands affect the Vault (specifically, licensing)? More art for the Vault, maybe templates, I believe. Handiwork is creating the 5e Creature Collection for us as essentially a huge freelance project, so it shouldn’t affect things at all. Love to see the Scion Companion move up, as well as see Creatures and Demigods jump into the First Draft column. Thanks, so would we all. But seriously, Feb 12… two weeks. That’s amazing. That’s incredible. Thank you so much. Thank everyone who worked on Lunars! I feel this deep within my soul-wallet. February 12th, Kickstarter for Ex3 Lunars. So I for one am glad no Gifs are possible. That’s a hateful meme for creators. Rich, you might want to mention somewhere that the Onyx Dice app can’t be used on newer (X model) iPhones. The app doesn’t scale to the proper resolution, leaving critical GUI elements off screen. This has been an issue for over a year now, still with no fix, and (as far as I’ve seen) no dev response. Geist 2e is proofing <3 I feel it's icy chill on my spine! The review process for M20 Gods and Monsters is excruciatingly slow. It is what it is – we want it out to folks as much as anyone. With Fulfillment by Amazon (FBA), you store your products in Amazon’s fulfillment centers, and we pick, pack, ship, and provide customer service for these products. FBA can help you scale your business and reach more customers. This is possible for you guys? I dont now the costs and time, but maybe you can take a look in this system. I have in the past, and it wasn’t a good fit for us or them at the time. Now? Maybe worth checking out again. When is the Aberrant kickstarter starting? They tell us only the next KS. My guess, from outside OPP, is that it could be after Lunars maybe around April buuuut it’s only a guess. Yes. We have a fair number that are coming up for KS, and Ab we have something special planned for. Later this year if all goes well. Geist 2e is in proofing, how long does that take? Variable. It is set up to be a review of how the layout has handled the text, but often seeing that text all fonted-up and in format with design elements and illustrations reveals errors that aren’t seen during a pure text review. I thought James had already suggested such a service, but I will pass this on to him to include. Thanks! Something worth considering going forward with kickstarters: The current administration is withdrawing from the international mail agreements, so besides the recent price increases, internationally they’re going to jump again this summer going into/out of the US. Likely by quite a lot. I always thought that fulfilment was outside Kickstarter administration and more in the Creator’s logistic. For example: Free League’s KS shipping are cheaper that OPP, although they’re send from England by GameQuest to Mexico using DHL’s services. Not really sure where you’re coming from here, in that shipping should always be a consideration during the KS, by both the creator and the backers. It is entirely possible that England to Mexico is a lower shipping rate than US to Mexico. I almost never see DHL as a shipping service any of our fulfillment folks use, and its not that they’ve never heard of DHL. I mean that the KS administrators didn’t select or impose the couriers to fulfill the projects to the creators and that it was more for them to get a good deal sending the pledges. I don’t know Rich, I know that my Emisary Lost for Coriolis (English ver) was send by GameQuest (located in England) through DHL service and I didn’t pay any customs fee. But I read that backers from Canada pay a lot of customs fees and that it was almost the price of the pledge. Absolutely right that each creator is the one who determines shipping. I didn’t think I was implying that KS itself has anything to do with that, or really anything having to do with our Kickstarter campaigns except to provide a crowdfunding platform. When I refer to Kickstarter, I’m generally either referring to Kickstarter campaigns in a shorthand, brand-name, way for crowd-funding in general, or one of our specific campaigns, ala the Lunars Kickstarter. Sorry if somewhere in there I wasn’t clear. No worries, it was more an answer to Odd_Canuck “The current administration is withdrawing from the international mail agreements” than that you weren’t clear. I think by administration he meant the US government? Exactly, the shipping costs are very much out of our control, yet are significant in how we set up a Kickstarter, backer response to the pricing, and then when the actual shipping occurs even a slight raise in pricing can gut the KS. The info in this blood makes it sound like the backer tiers will be changing a bit to support a new go forward approach to the KS process. If this is the case, are you willing to give us a preview of the new tiers for the Lunars KS? Can you be more specific as to what changes you’re thinking we’re going to make? As for a preview of the Lunars tiers, we really prefer to only show what is definitely going to appear when the KS goes live, and any Tiers/Rewards/Add-ons/SGs are subject to change up until I hit the big red launch button. Maybe I misread, but it appears there will be less of a focus on Deluxe books and a new focus on getting books in stores? It could have been a misunderstanding. Also I was curious if a consulting developer slot would be opened up, as seen on “They Came from Beneath the Sea” KS? Are any Wraith 20 deluxe copies expected to end up on IPR? The Kickstarter ended before I got into the 20th Anniversary books, and at the moment Wraith is the only deluxe print that I’m missing from my collection. We certainly hope to do that as we have with the other Deluxe books. Do you know how you can tell you have a very special game in your hands? Here’s you can tell: A few days ago, I received my magnificent Changeling 2nd Edition book. I know it’ll be some time before I can actually sit down and read it cover to cover. But, to slake my thirst a little I decided that I would at least read the Seemings and Courts Quotes. I got to the Spring quote, man, just that one quote, summed up… everything. It all came washing back to me like a tsunami. The sheer raw emotional power of this game. I knew then the new team understood this game. They felt the pulse of its heart and they had done it justice. This is going to blow me away. Thank you Onyx Path, Thank you Changeling 2nd Team. Can’t wait to read this. Thanks, Y – appreciate your thoughts here! Sure thing, Richt. Always a pleasure to bring a little positivity to the internet. His voice acting is amazing. Maybe you could give him a ring. We’ll check him out, thanks! What ?? 64$ of shipping cost to canada!? What the hell. We are like sooo close of each other. :O It’s crazy. I hope this will not come to this price. I know! It boggles my mind. We used to be friends, Canada…was it the acid rain thing? I’ve yet to get my physical dragon blooded book that a paid for via kickstarter? I mean it’s in proofing and stuff but I kinda back these things for the actual book not the pdf. Hard to shell out on another before that last project has actually given me what I paid for last time. Then don’t – there’s no hard feelings here. We’ve successfully delivered multiple KS’d books early, as I wrote about in the first part of the blog. You already know what’s in the book via the PDF (also delivered before estimate), and we’re known for the high quality of our physical materials. So with all that going, if you are still insecure about pledging for Lunars, we’d rather that you go with your gut and hold off rather than feel bad about backing. The flip side of this is that we have Lunars players who have been waiting to be able to play their favs in third edition. We can’t see making them wait longer when we have the manuscript ready and the slot open in our Kickstarter schedule for it. I fancied voice renditions of sidhe houses’ stories for a long time now. Listening to “Honor” (the Ailil one) would be a true delight!